The Sands, Kenny & Co. Melbourne directory is a comprehensive listing of city addresses and occupants organised alphabetically by streets across the central city. 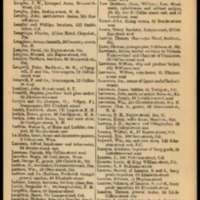 It is augmented by alphabetical, trade and professional listings, as well as information on leading financial, government, official, ecclesiastical, legal and municipal institutions, and other miscellaneous advertisements, maps and information. The directory includes town as well as suburban listings, with coverage including Melbourne proper and, from year to year, the expanding suburbs of the greater metropolitan region. 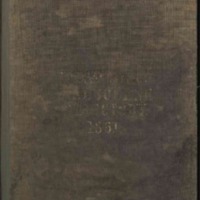 Sands, Kenny & Co., “Sands, Kenny & Co's Commercial and General Melbourne Directory for 1861,” Melbourne History Resources, accessed April 26, 2019, https://omeka.cloud.unimelb.edu.au/melbourne-history/items/show/21.